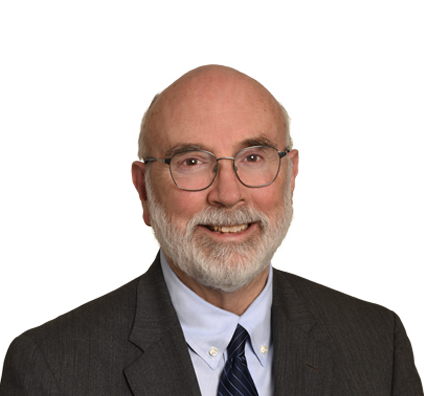 Tom has practiced full-time litigation for more than 40 years. He focuses on high-profile, bet-the-company litigation in healthcare, patent, oil and gas, environmental and general commercial litigation. Defended a Canadian company in a patent infringement lawsuit filed by a Fortune 100 company seeking more than $5 million in damages for control of the telecommunications splicing market. Case was resolved favorably for client. Represented owner of next-generation technology company relating to the clarity of flat-panel televisions in a lawsuit against a Japanese multinational corporation concerning compliance with a license agreement. Tom defends numerous legal malpractice cases and serves as an expert witness with regard to the Texas disciplinary rules of professional conduct in numerous cases. A frequent speaker on industry issues and ethics, Tom has lectured for the State Bar of Texas, the American Bar Association, the University of Texas Law CLE, the National Business Institute, Travis County Bar Association, Practicing Law Institute, University of Houston Law Center, Water Law Institute, Williamson County Bar, Austin Bar, Corpus Christi Bar and the New Mexico Bar. Before joining the firm, he was a partner at Brown McCarroll. Defended a California-based startup company against patent infringement and misappropriation of trade secret claims relating to semiconductor technology used in cell phones. Achieved favorable results for client. Defended a Canadian company in a patent infringement lawsuit filed by a Fortune 100 company that sought over $5 million in damages/injunction giving it control of the telecommunications splicing market. Case was tried to a federal court jury, with favorable verdict invalidating two of plaintiff’s patents due to obviousness and anticipation. Also, jury invalidated several claims of another patent for indefiniteness. Defended the Texas State Board of Insurance in a $22 million attorneys’ fee claim for wrongful prosecution of individuals in an insurance company takedown resulting in take-nothing judgment against the board. Represented owner of next-generation technology relating to the clarity of flat-panel televisions in a lawsuit against a Japanese multinational corporation concerning compliance with a license agreement between the two. The case was filed in federal court in Austin, Texas. Defended a German company in a patent infringement lawsuit filed against it by a university and dominant company in the field of rapid prototyping systems using laser technology. Represented a municipality in defending an environmental ordinance against a high profile, media-driven constitutional attack by local developers. Statute ultimately upheld by the Texas Supreme Court. Defended legal malpractice/breach of fiduciary duty case in a $30 million claim and forfeiture of a seven-figure contingent attorneys’ fee. Settled the case with a payment of funds to client for his portion of fee for underlying litigation. Represented 1,600 class members in a lawsuit against a developer and lender; obtained settlement approved by the district court, the bankruptcy court reorganization and a class action settlement approval. Defended client’s $10 million ownership interest involving adverse claim to stock ownership in a closely-held corporation among in-fighting shareholders. Won summary judgment that was upheld on appeal.